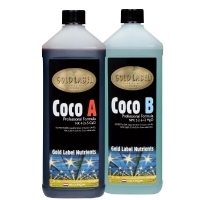 Gold Label Coco A+B is a professional grade mineral two component fertilizer for cultivation on coco substrates. It is used during the whole life cycle of the plant, for the vegetative and flowering phase. The chelated micro elements guarantee optimum availability in a wide pH range. 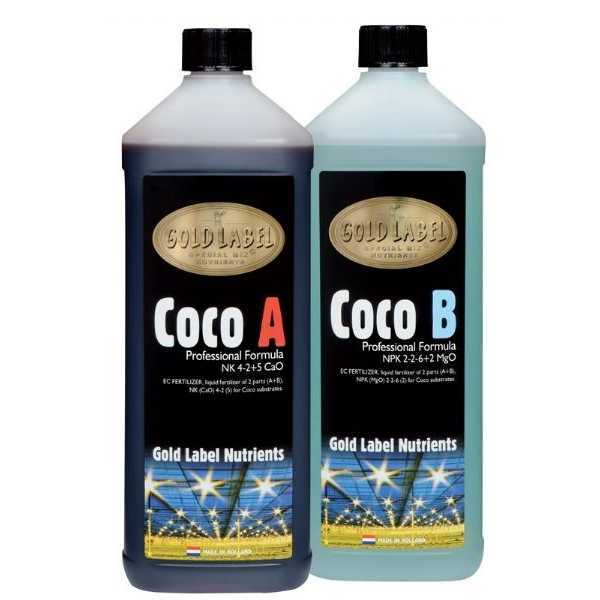 Optimized for Gold Label Coco substrate. Use&Dosage: Add A & B in equal quantities, 0.5-3ml/litre or until the desired EC. 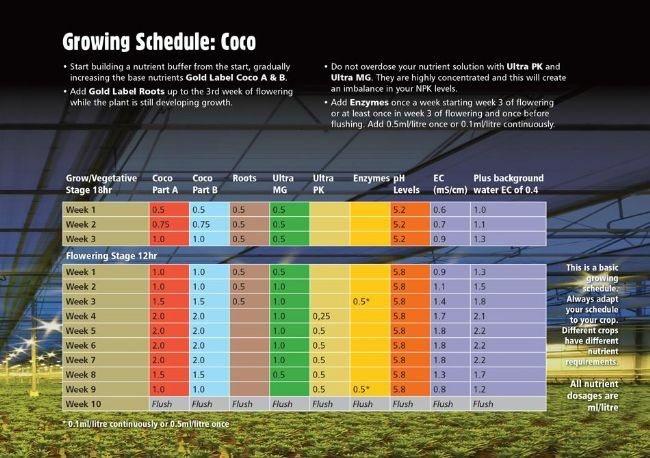 Never combine pure nutrients together, always mix in water. Shake bottles before use, store at room temperature.